We provide care services funded by private individuals, Social Services, NHS and other private bodies. Leaf Care’s senior team have been working in the social care sector for more than 40 years and we have a wealth of experience in providing health and social care services. Leaf Care Services provides care services to over 300 people and has a team of over 200 employees. We provide community care services, live in care services, residential care services and specialist training in the health and social care sector including Apprenticeship training to our employees and to outside organisations. We listen to what people have to say and adapt. We work with Social Services, the NHS and private individuals and we continue to meet the high standards of care delivery. We embrace change and encourage feedback from our customers, clients and families we support. We listen to what people have to say and we make sure that our service continually improves. We work with Social Services, the Health Authorities and Care Quality Commission to ensure we continue to meet the standards and continue to keep ahead of any changes that are required. We embrace change and encourage feedback from the people who use our services. Our mission is to provide high quality care services, maintaining excellence across all aspects of our business; leading innovation and development. We seek to be the No.1 care provider in the UK for our customers, our staff and our local authority partners. › We promote an enthusiastic, energetic culture where people take pride in their work and in our company. › We encourage innovation, creativity and excellence to instill confidence and trust through knowledge and expertise. › We adopt a transparent and professional approach, understanding the level of sensitivity required in the nature of our work. › We constantly seek to improve through training and encourage personal development throughout the team. › We work hard and ensure that processes provide value to the customer and efficiency to the business. Established in 2010, Leaf Care Services has grown to be a recognised quality care provider in East Anglia. Leaf Care Staffing Ltd, part of the Leaf Care Group Ltd now employs over 150 members of staff who all support and work for Leaf Care Group; consisting of carers, seniors in care, managers, mentors, trainers, social coaches, builders, maintenance teams, project managers, finance teams, HR teams, IT support teams and quality assurance inspectors. Leaf Care Services Ltd launches it state of the art IT solutions systems in community care services. This involves real time care planning, computerised tasks leading to better outcomes in care. The technology supports the community care teams instantly access the vital information they require to manage their community caring role. Leaf Care Group opens a 16 bed specialist dementia care home in Ixworth, Suffolk, regulated by the Care Quality Commission, and approved by local councils including Suffolk and Norfolk. The residents live in small group living houses replicating normal life. Since June 2017, The Leaf Care Group invested half a million pounds to bring the care home up to date; involving state of the art heating systems, technology, nurse call systems, fire alarm systems, health care equipment, decoration and furnishings to provide lifestyle dementia care. It has since been recognised as a forward-thinking care facility for people with dementia by experts working in the field of dementia. This means Roots Training can deliver top quality training in Adult care to its employees and to Levy and Non-Levy paying employers. Training providers listed on the RoATP, have been through an application process with the ESFA that considers due diligence, capability, quality and financial health to assess their capability to deliver high-quality apprenticeship training. Roots Training is listed as a main provider of Adult Care Training. Leaf Care Group is renovating Mildred Stone House, a purpose built care home. The care home will provide specialist dementia living, all rooms will have en-suite facilities, an onsite shop, restaurant, pub, cafes and so much more. Planned opening is Late 2018. Norfolk County Council placed the block contract for the North Norfolk and Eastern areas with Leaf Care Services to provide its homecare services to people living in these areas. Leaf Care Services signed a spot contract with Norfolk County Council and NHS services to provide a community homecare and live in service to people living in Great Yarmouth and surrounding areas. Leaf Care Services signed a spot contract with the council and NHS to provide a community homecare and live in service to people living in Suffolk. Leaf Care Services opened its second home care services branch in Great Yarmouth to provide community care based services to people living in East Norfolk and Suffolk areas. Leaf Care Services purchased Mildred Stone House, a 40-bed residential care home previously run by Norfolk County Council and began renovations to modernise the care home. Leaf Care Group began its Specialist Health and Social Care Construction Services to design and build care homes creating custom living environments for elderly people and people with dementia. Leaf Care Services opened its Residential Training Centre for carers to attend training for our Live-in Care services. Leaf Care Services expanded its services to provide 50 people with community-based care services living in North Norfolk and North of Norwich working with Norfolk County Council transferring from their existing service provider. Leaf Care Services expanded its Live in Services to provide Live in Care across the East and South of England, supporting people in London, Norfolk, Suffolk, Essex and Leicestershire. Roots Training Services signed a contract with Broadland District Council to provide full Apprenticeship training in Health and Social Care to its Leaf Care Services employees. Leaf Care Services formatted its Training Company Roots Training Services to provide nationally recognised QCF Training in Health and Social Care. Leaf Care Services developed its operational framework and service platform. It introduced a visiting call time tracking system to ensure all community calls are monitored and delivered. Leaf Care Services launched its Live in Care Service. Leaf Care Services expanded the services to support people living in North Norfolk and opened a regional office in Cromer. Formation of Leaf Care Services. Leaf Care Services Norfolk was licensed by the Care Quality Commission to deliver personal care services for people to stay at home and receive homecare Services. Leaf Care Services signed a spot contract with Norfolk County Council, Adult Care Services and NHS primary care trust to deliver community home care services across Norfolk. Our founder Christen McDonnell is a senior manager in social care and health services. She is a qualified social worker and health and social care manager and has a background in front-line social services, community projects, health services, training services and working in multi-agency teams. All our managers undertake a full training programme in management and leadership in health and social care services. They are trained to the highest standards and they all have a background in management positions previously working in areas such as health care services, compliance and customer care. 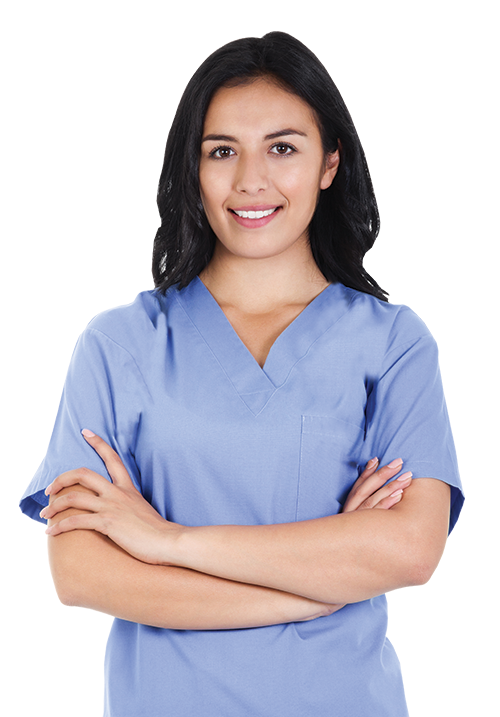 We are a friendly and dedicated localised run health and social care company, we provide high quality care by ensuring all our employees are trained to the highest standards. Our Specialist Health and Social Care Construction Team is highly skilled and knowledgeable in the care construction industry creating custom living environments for elderly people and people with dementia. We think in terms of buildings, interiors and landscapes. We have the know-how and create safe environments which continue to provide experiences and quality of life. Leaf Care Services works to high standards and are registered with the Care Quality Commission in England. We are accredited to work with Local Authorities, NHS Primary and Foundation Care Trusts, and provide care services to people who fund their own care, we work with private individuals, specialist social workers and solicitors. Leaf Care Services undergoes regular internal and external inspections to ensure the highest standards are maintained at all times. Do your carers make you feel safe and protected? Do your carers protect your privacy and dignity? Do the carers support you with your independence? Sally is a live in carer who works with Jim who has poor eyesight and has dementia. Lucy has been a carer for 8 years and provides home care for some of our most challenging clients.